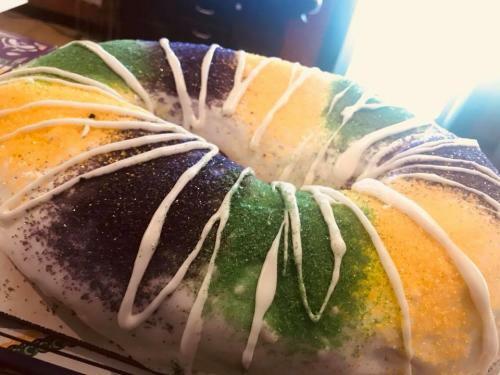 We have a saying on the Mississippi Gulf Coast around Mardi Gras time: “King Cake calories don’t count!” It’s just science, folks. 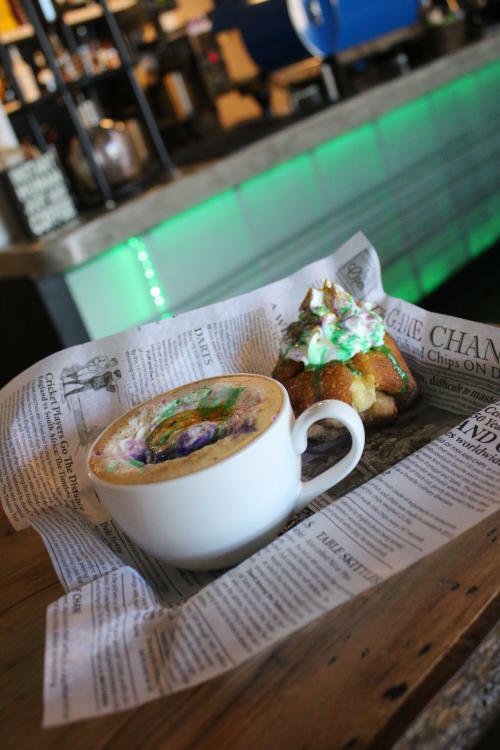 Mardi Gras is a time to indulge, and a King Cake is the absolute best way to get into the spirit of the season. 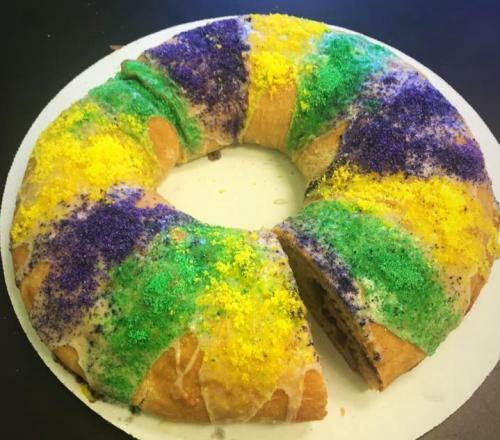 If you’ve never heard of a King Cake, let us give you a little background. 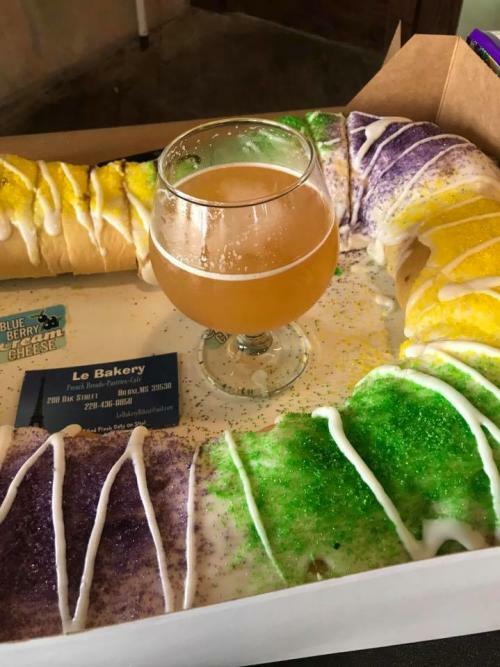 The French celebration of Mardi Gras made its way to the Gulf Coast way back in 1699 when French explorers landed along the banks of the Mississippi River. Since then, there have been old traditions celebrated and tons of new traditions added to the holiday each year. 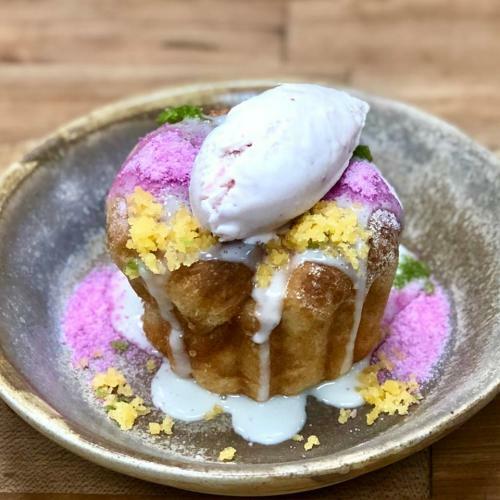 The tastiest tradition was the King Cake, a pastry-like sweet cake shaped like an oval and topped with icing and sugar. 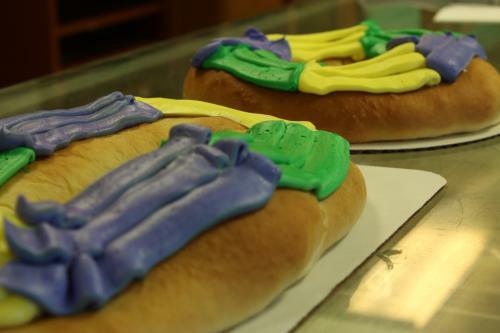 Traditionally, the icing is three different colors; purple for justice, green for faith, and gold for power. The origin of these colors can be traced back to the night that Jesus Christ was born. The colors are in honor of the jewels worn on the crowns of the three wise men. 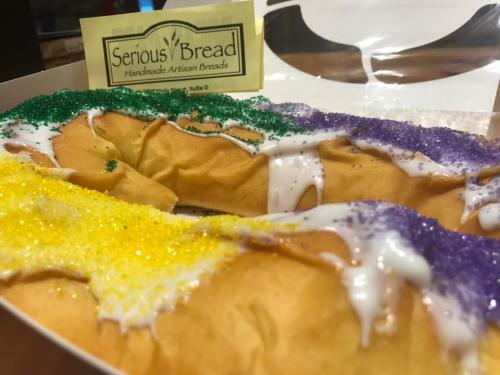 The King Cake’s Christian ties also explains the tradition of putting small gifts in and around the cake, including a tiny plastic baby to represent Jesus himself. 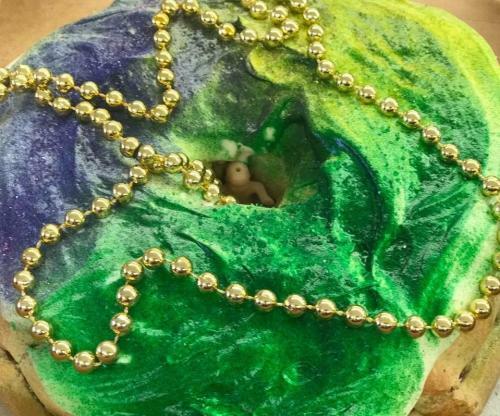 The typical rule for eating King Cake is that if you find the plastic baby in your piece, you are tasked with providing the King Cake for the next Mardi Gras party. 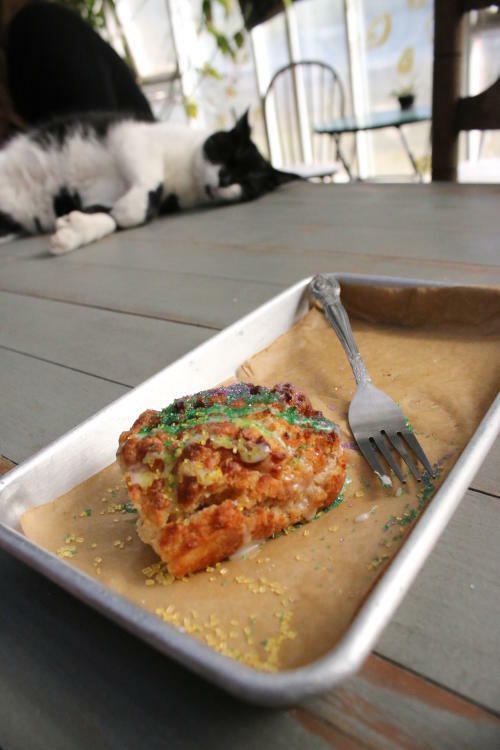 So, we put together a great list of some of the best places to get freshly baked King Cakes along the Mississippi Gulf Coast. 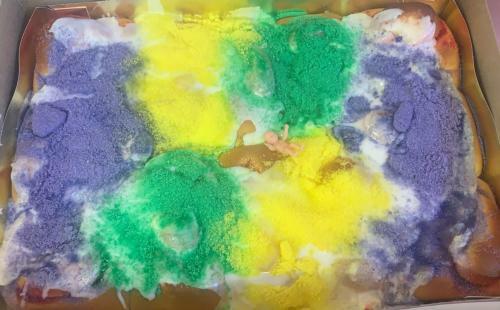 And we’ve even included some fun takes on the tradition that put a little twist on the tasty Mardi Gras confection. 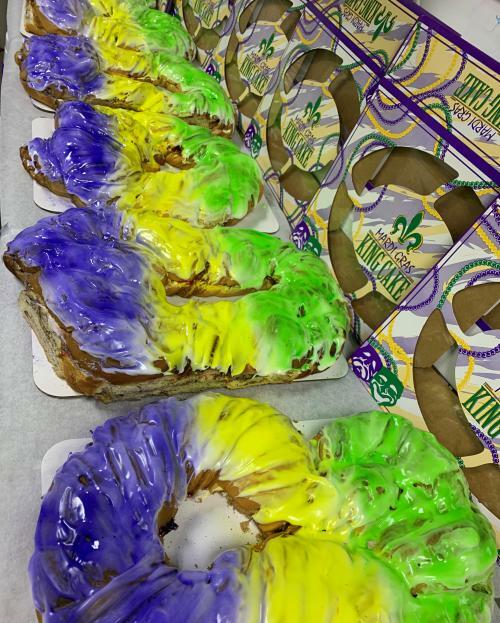 So, get out there and have your King Cake and eat it too. 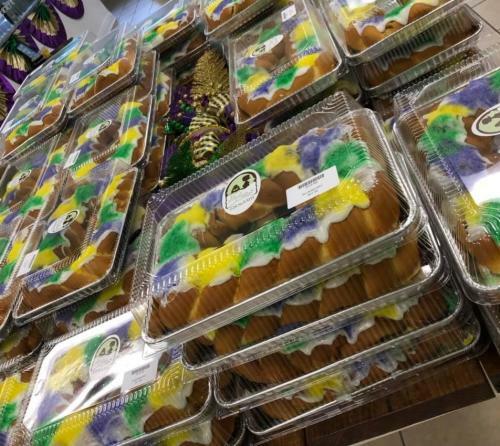 Let’s travel over to Biloxi, where one location has been baking for nearly 100 years, and others are starting new King Cake traditions. The beautiful city of Pascagoula is the closest in our state to the city that claims to have celebrated the first Mardi Gras; Mobile, AL. 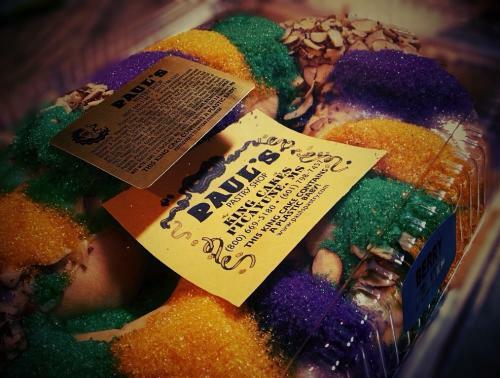 That means it’s got to have some tasty King Cakes, right? 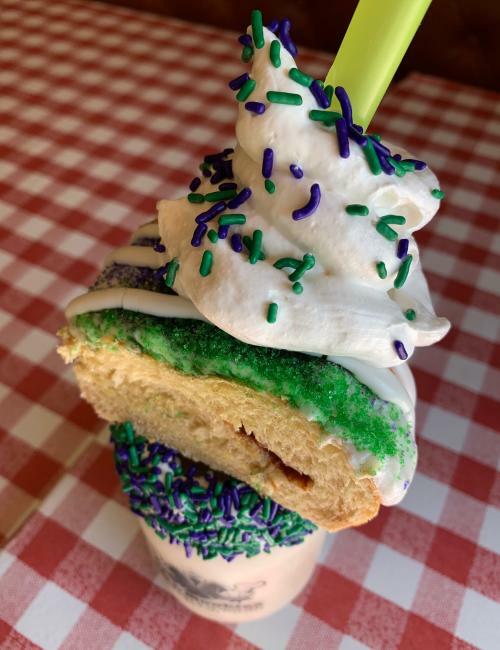 A short drive up to Dixie Depot will be worth it when you take a bite of their delicious King Cake and other treats. 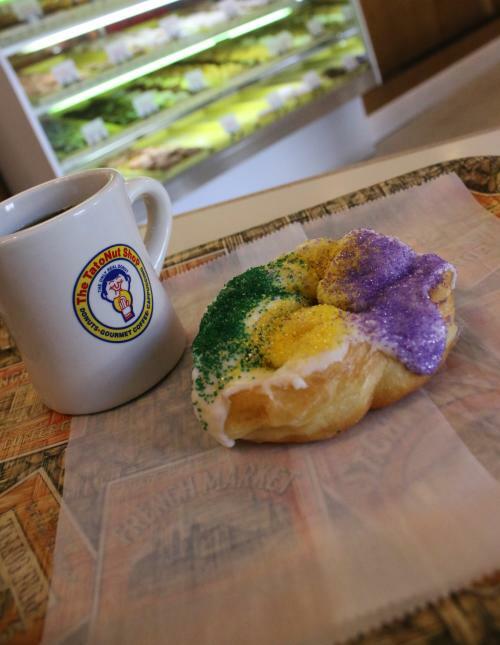 Some of the tastiest King Cakes on the Mississippi Gulf Coast are actually twists on the traditional treat. 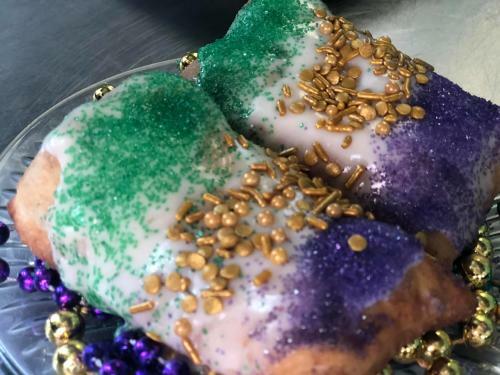 Check out some of these delicious takes on the classic Mardi Gras delicacy that will give you your fill of carnival goodness.